The first MCU movies of the year is finally here! 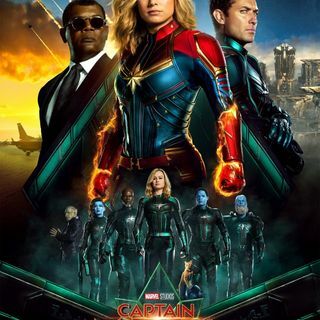 Captain Marvel is making her triumphant and long overdue first appearance on the big screen and we’re here with our deep dive, SPOILER review to tell you all about it on “The World’s Best Podcast”! Captain Marvel, Nick Fury, Agent Phil Coulson, Goose The Cat, Kree, Skrulls, & even more Marvel insanity! All will be explained by the Kree Supreme Intelligence... On this episode, Paul is forced to use Paul Sr. as his co-host again and I have a ... See More feeling he may be popping up a bit more on the show. This is one hell of a year for big movies and TV series. So Buckle The F@#k, ladies and gentlemen! It’s gonna be one crazy ride! Enjoy!